If you are looking for new ways to expand your business and boost your sales growth through globalization, we will find the right market and clients for you. If you are in need of a new supplier or want to offer a differentiated product in your business, we will bring you new product offers that meet your needs. Our passion for the gourmet food industry allows us to identify distinctive products amongst the mainstream so that you can offer nothing but a unique, quality experience to your most discerning clients. After an in-depth analysis of your business and product characteristics, we will recommend a growth strategy, analyzing market potential, regulation and competition to maximize your business. We have highly qualified team members specialized in International Marketing and Brand Strategy who can provide you with guidance on how to maximize your brand positioning within your localized market, or on a global level. Whether importing or exporting, seamless logistics are the key to a successful business. 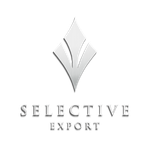 Selective Export will take care of all necessary procedures, documentation, insurance and transportation of your selected products so that you can focus on what really matters: making your business grow!